But feeling so well and alive at the same time. Addicted! Comfortable hydrating balm from 5 ultralight, light-boosting oils with great colour pay-off. Love the smooth glossiness. Dior Addict Lacquer Stick, simply brilliant. 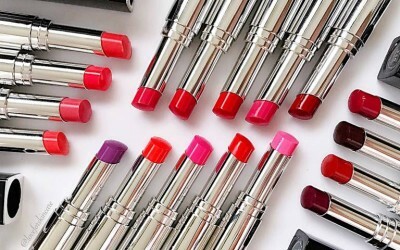 From 18 stunning shades, which are your picks? The solution to Japanese women’s concern on wrinkles and spots for 40 years, I’m happy to have tried Domohorn Wrinkle! Skin is built layer by layer, step by step to achieve smooth, bright and supple skin. I was most impressed by the deep cleansing and hydration. Lasting smoothness and hydration sealed through the day. Best for dullness, dehydration, roughness, pores and lines concern. Resolutions, resolutions….minimizing dark circles is definitely one! I’ve heard countless concerns on eyes and of dark circles comes up tops for many of us. Most skincare ranges include one or two eye-care products, but I’ve recently met one with an impressive 18, including three eyelash products. I packed three products from Christian BRETON, the eye care specialist to try out during my recent travels and continued so at home. More even-toned eye contour and less need on undereyes concealers. That’s a great start to the year indeed! 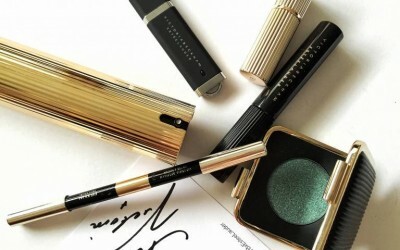 Victoria Beckham Estée Lauder Collection is here! Here are some quick info and swatches of this much anticipated collection. Available in Singapore this 23 September!